Hair provides a unique, biopsy type of reading of metabolic activity. Hair is used for testing because it is a rapidly-growing soft tissue of the body that can be sampled easily and safely. The test measures the mineral content of a hair sample, which is obtained by cutting the first inch and one-half of growth closest to the scalp at the nape of the neck. The sampled hair is prepared in a licensed clinical laboratory through a series of chemical and high temperature digestive procedures. Testing is then performed using highly sophisticated detection equipment and methods. 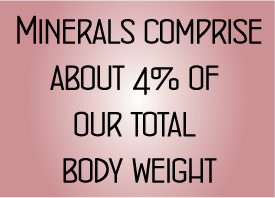 Minerals are the basic building materials involved in all body functions. Looking at individual minerals can give good information about certain conditions but to establish the causes and treatment of insufficient energy we need to look at mineral ratios. Minerals work together, e.g., calcium and potassium regulate the thyroid gland (calcium slows it down and potassium speeds it up). If there is too much calcium (in relation to potassium) in the tissues the thyroid will become underactive. Too much potassium (in relation to calcium) the thyroid becomes overactive. Once you know the proper ratio of calcium to potassium in the body, you can know whether your thyroid is too fast or too slow, and even how fast or slow it is! Why use a hair test for health? The cells (tissues) of the body are the major site of metabolic activity, and the hair is a reflection of these storage sites for minerals. All body tissues, including hair, contain minerals which are deposited as the hair grows. Even though the hair itself is dead, the minerals remain. A one and a half inch sample of hair cut close to the scalp provides information about the mineral activity that took place over the past three to four months, depending on the rate of hair growth. Mineral levels in the blood are kept relatively constant due to their importance in the control of the heart’s electrical charge, so the blood is the last place to show mineral depletion. → Determining hair analysis minerals is like time lapse photography whereas blood is like a snapshot. Think of hair as a biopsy of the body’s tissue which contains the minerals incorporated during its development. This is why we do hair testing for health; to determine nutritional deficiencies. → Hair is a reflection of body storage sites (cells, tissues, organs) for minerals. Blood mineral levels are the last place to show depletion because the wisdom of the body keeps mineral levels in the blood controlled because these ‘electrolytes’ are so important to the heart’s electrical charge. → Electrolyte (mineral) levels in the blood are controlled at all costs to the rest of the body because of their importance to the heart’s electrical charge. 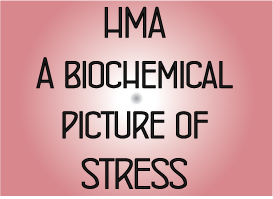 HMA shows depletion in the tissue storage sites early on. → Toxic metals will only remain in the blood for a matter of days after exposure due to their potential hazard. The body knows to store them away or sequester them wherever possible such as in the liver, kidneys or thyroid. → Since hair is used to excrete toxic metals, this is an excellent place to look for them even long after exposure. → While blood shows which minerals are being transported at the moment, where are they going? Hair is a storage tissue and is reflective of what is going on in other storage sites for minerals. HMA is a non-invasive, soft tissue mineral biopsy. Because hair is a stable material it requires no special handling, and advancements in technology have made HMA cost-effective, accurate and reliable. ARTICLE: Why use hair analysis to design nutritional programs?